We may soon hear cancer researchers say, “That’ll do pig, that’ll do.” To date, cancer researchers have contented themselves with using rodents in the laboratory, in part because of the additional costs of maintaining animals so large and as long-lived as pigs. Yet, with access to the tools of precision genetics, cancer researchers may be able to create genetically engineered pigs that are so useful—so revealing of cancer mechanisms and so valuable in the safety testing of pharmaceuticals—that the benefits will finally outweigh the costs. The potential benefits of genetically engineered pigs as models of cancer are being touted by researchers from Recombinetics and the University of Minnesota. 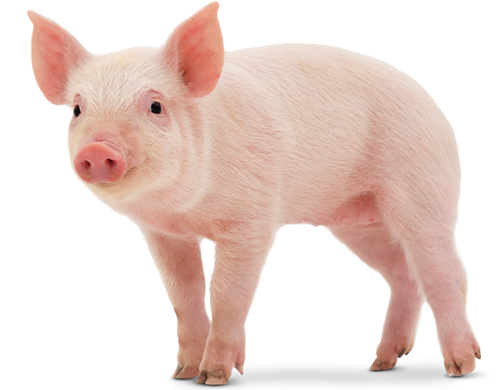 In a review article (“Engineered Swine Models of Cancer”) that appeared May 9 in the journal Frontiers in Genetics, these scientists discuss how pigs have been used as biomedical models in the past and how these uses may be expanded, particularly given the widening use of designer nucleases in gene-editing technologies. These technologies include zinc-finger nuclease (ZFN), transcription activator-like effector nuclease (TALEN), and clustered regularly interspaced short palindromic repeat (CRISPR) systems. Using genetically modified pigs would allow overcoming one of the main drawbacks of rodent models, which is their inability so far to identify safe and effective drugs to treat cancer. For example, the size and ease in handling pigs allows for drugs to be administered in the same way as in patients and for follow up blood work over time. Accordingly, the authors cited the limitations to using rodents to model human diseases—large differences in their size, anatomy, physiology, drug metabolism, chromosome structures, and their genetics. The authors suggested that swine may turn out to be the best alternative models due to their size, physiological, genetic, and biochemical similarities to humans. The authors caution that, as for any novel animal model to be useful in cancer research, it must be adopted and fully tested in many laboratories and under many circumstances. But the higher costs involved in handling these animals in the laboratory setting may be well worth the gains in our understanding of this deadly disease.